Lands, Agriculture and Rural Resettlement Minister Air Chief Marshal Perrance Shiri (Retired)'s proposed regulations, which sought to criminalise breaches of contract between Government and farmers under Command Agriculture, appear to be headed for a natural death following the expiry of the prescribed 21 days within which he should have taken action. This followed a decision by Parliament to uphold an Adverse Report by Parliamentary Legal Committee on a statutory instrument promulgated by Minister Shiri that criminalises breaches of contract between Government and farmers. Minister Shiri's situation appears to have also been worsened by the adjournment of Parliament to July 29, 2018, the eve of the harmonised elections, when the House would stand dissolved by operation of law. The statutory instrument sought to impose criminal penalties for breaches of Command Agriculture contracts by farmers, something that was rejected by Parliament, which argued that it was unconstitutional to impose criminal penalties on a civil matter of breach of contract. In an interview yesterday, Justice, Legal and Parliamentary Affairs Minister Ziyambi Ziyambi said the regulations would fall away if the minister failed to take action as envisaged by the Constitution. The Fifth Schedule of the Constitution provides that "If, after considering a report of the Parliamentary Legal Committee (PLC) that a provision of a statutory instrument contravenes this Constitution, the Senate or the National Assembly resolves that the provision does contravene this Constitution, the Clerk of Parliament must report the resolution to the authority which enacted the instrument, and that authority must, within 21 days after being so notified, either - (a) apply to the Constitutional Court for a declaration that the statutory instrument is in accordance with this Constitution; or (b) repeal the statutory instrument." 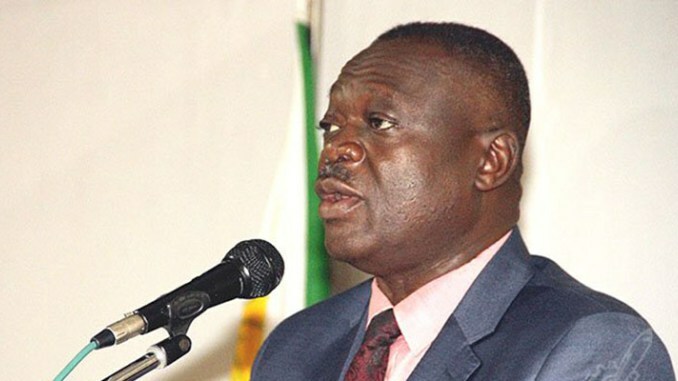 Minister Ziyambi said the statutory instrument would die a natural death if Minister Shiri had not pursued it in terms of the Constitution. "That would obviously mean that the regulations fall away," he said. "The Constitution is very clear. The responsible authority has a timeframe within which he should exercise rights conferred upon him by the Constitution and if the period has lapsed, they will obviously fall away." Minister Shiri yesterday said he was consulting with his legal team. "I am not a legal person and I have engaged my legal team and they will advise me accordingly," he said. "That is what I can say for now." In his submission before Senate last month, PLC chairperson Jonathan Samukange said contracts between Government and contracted farmers were civil matters and not criminal, hence required civil remedies. Samukange said the regulations contravened Section 49 (2) of the Constitution, which states that "no person may be imprisoned on the grounds of inability to fulfil a contractual obligation". He said the Constitution had outlawed a legal provision where one would be imprisoned for failing to pay a debt. During debate, Minister Shiri defended the regulations, arguing that they were meant to secure Government interest on its investment given that it would have extended a loan to a beneficiary who was expected to pay back. He said the sections did not criminalise breach of contract nor did it seek to enforce compliance with the provisions of the contract, but criminalised abuse and misappropriation of inputs by beneficiaries who sought to defraud the State through side marketing inputs.